Now there is this cool Wonder Woman And A Triangle Hoodie. 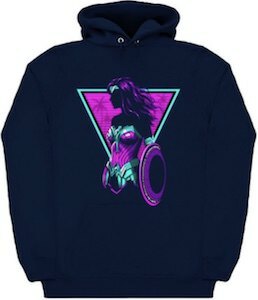 The Wonder Woman hoodie is made from 90% cotton and 10% polyester and comes in black and navy blue. On the hoodie you can see an upside down triangle with a purple background and palm trees inside it and then on top of it all you can see Wonder Woman and her shield and all is in a purple and light blue print which gives it a bit retro feel and that makes it unique and really cool to own. You can get this Wonder Woman hoodie in sizes Small – 2XL and will look great on both men and women. Now there is this cool The Face Iron Man Hoodie. 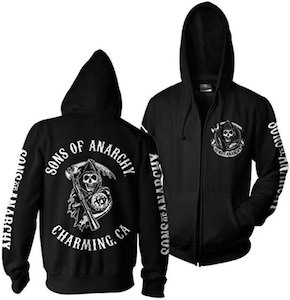 The is black and unisex so that both men and women can enjoy it and is available in sizes Small – 2XL and comes in a zip up version too. You can choose the Iron Man image for on the front or on the back of the hoodie. 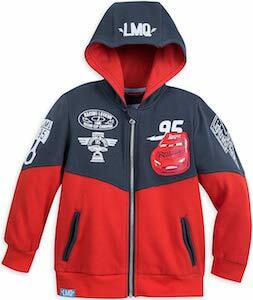 On the hoodie you can have a nice image of Iron Man and the Marvel superhero is looking up and the red and gold colors really look great on the black fabric. Behind Iron Man there are some light splashes which really makes it look stunning. Now 007 fans can have their own Bond James Bond Hoodie. The hoodie is just made for all the true James Bond fans and it is available in sizes Small – 2XL and looks great on both men and women and comes in colors blue, red, and black and is made from 90% cotton and 10% polyester. On the hoodie you can find in big worn looking letters the text “Bond. James Bond.” and we all know that this is the way 007 says his name pretty often in his movies. 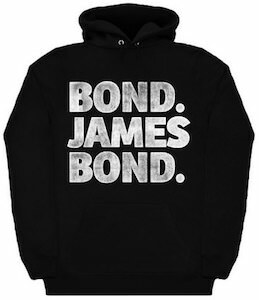 And you can get this James Bond hoodie in two versions, it comes in a sweater version and a zip up version. And there is a t-shirt with the same text too. Now there is a cool 13th Doctor Who Portrait Hoodie. You can get this hoodie in sizes Small – 2XL and will look great on both men and women and comes in a bunch of colors like white, red, black and navy blue. The Doctor Who hoodie is made from 90% cotton and 10% polyester. And you can get the same image on a t-shirt too. 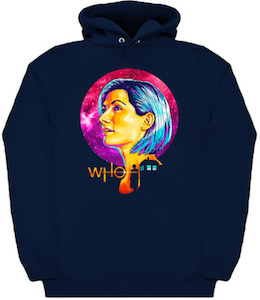 On the hoodie you can find a planet in the background and it is like purple and on top of the you can find the face of the 13th Doctor Who with on the lower part also a part of the Doctor Who logo and a smaller image of the female Doctor and her Tardis. 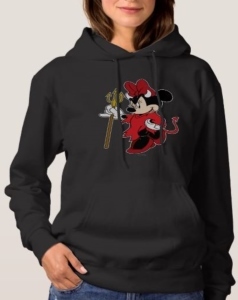 If you are looking for a fun way to show off your love for the Disney character Minnie Mouse then here is a fun hoodie that has Minnie dressed up as a devil. 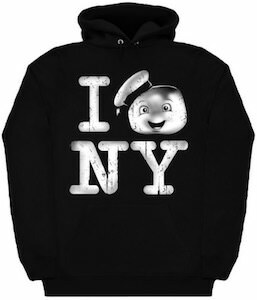 On the front of this hoodie you will see an image of Minnie Mouse dressed up as a devil. With lots of details she has a red dress, bow and a red tail to go along with a devils spear and of course devils horns. 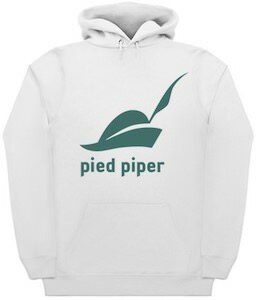 Available in a wide selection of hoodies for men and women that range from sizes Small to 3XL. Also check out the many different colors to choose from and the different type of shirts you can get the Disney Minnie Mouse devil print on.